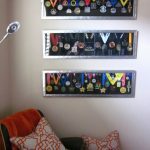 6 Creative Ideas To Display Your Medals | JustRunLah! 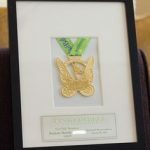 Remember the moment you got your first 10km finisher medal, you couldn’t wait to put it on, proudly took photos of this victory moment and you did not want to let go until you had to. 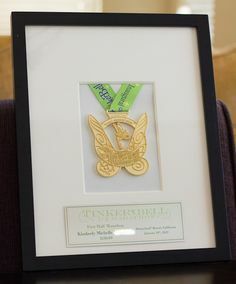 Just right before the shower, you displayed your medal nicely on the top of the shelf, at the most visible corner in your room. And every time you passed by before heading to work or school, the sight of this shiny little bling gives you the feeling like YOU OWN THE WORLD. 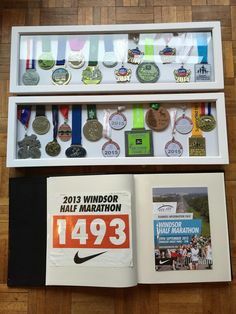 Then subsequent months and years you got your next 15km medal, Half Marathon medal, Full Marathon medal, Triathlon medal, the 20th medal… and now they all become a cluster. 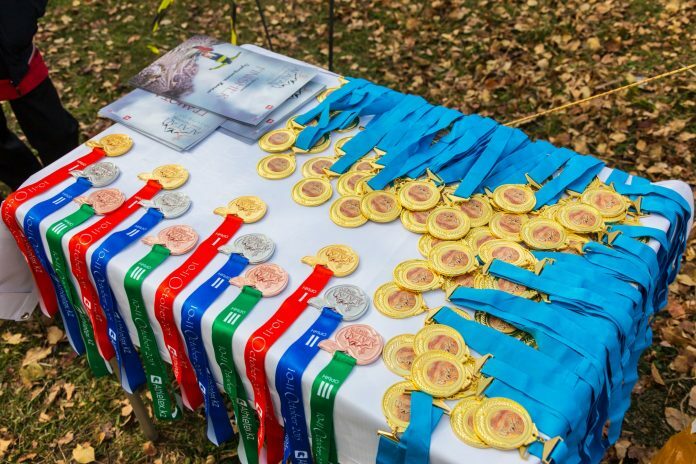 Where are your medals now? in a shoe box or in a cookies tin under your bed? C’mon, all your victory earnings deserve a better place. 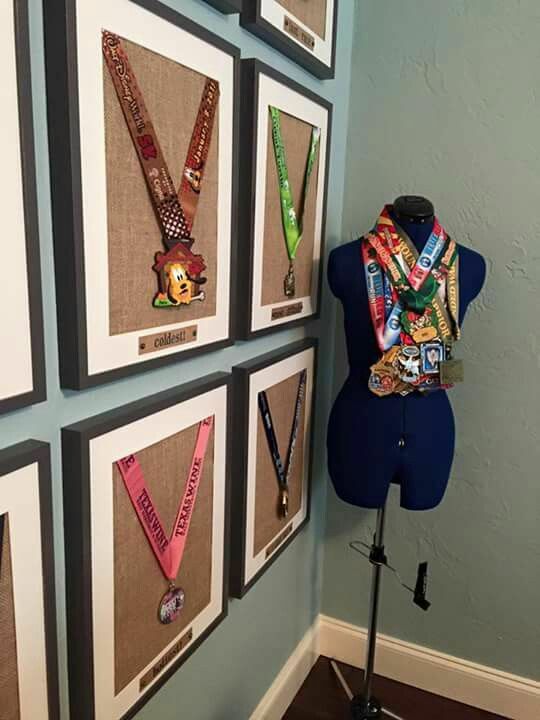 Here are 6 creative ideas to display your medals and their pros and cons. Pros: Presentable. This can be the decoration at your front door or balcony. Easy to make and the cost all you need are just getting the iron plate and some strings. Cons: Being what it is – a wind chime, do expect tinkling sound comes from it. Try not to put it near to your working station or reading corner. Pros: Your medal will look exactly like it is put on you. Save time and multiple uses. Cons: Do consider the moderate set-up cost (a mannequin is sold about S$20 or more for a better quality). Heavy, bulky and the mannequin takes up space. 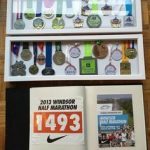 Pros: A special idea for a multi-sports enthusiast who does not only run or swim or bike, but also plays badminton or tennis or baseball etc. 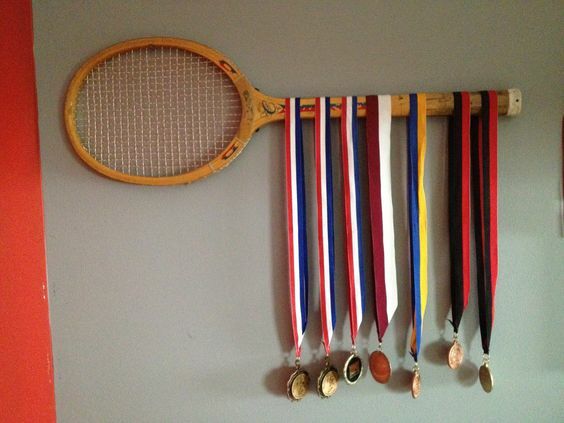 Keep your old racquet or bat and put all your favourite things together. Simple, but a environmentally friendly design. Pros: Good containing space, flexible application and cost friendly. You can easily get them in stores. 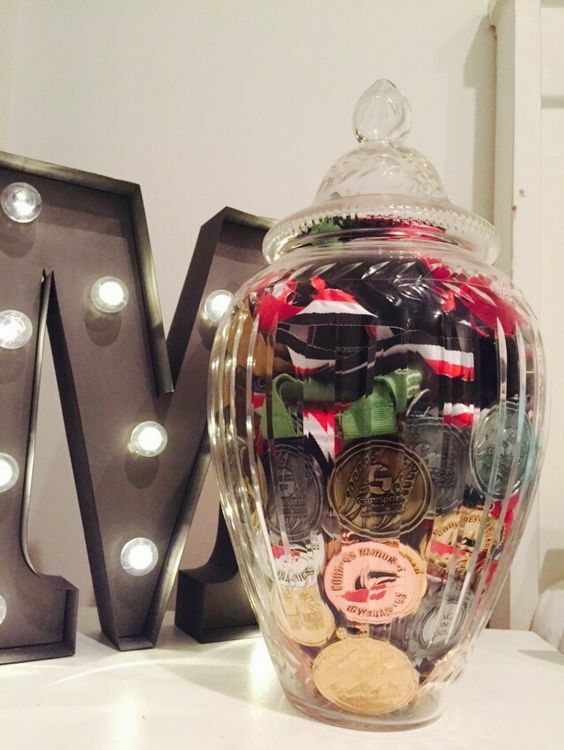 With the jars come in different shapes and colors, you can mix-and-match them in your own style. Let your creative juice flows! Cons: Jars are fragile and breakable articles. 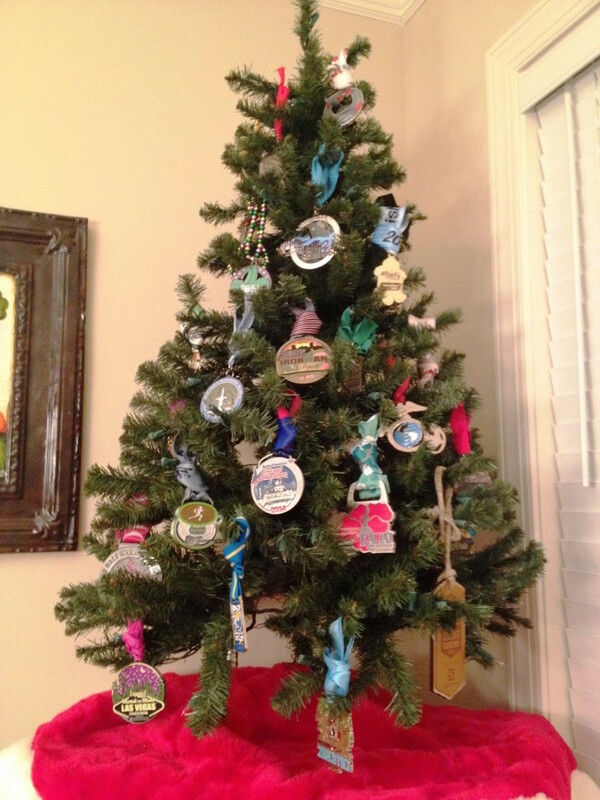 Be extra mindful of the placement, especially if you have young little ones at home or If you are a pet owner. Pros: Clearly visible and you have more flexibility in designing their layouts. For your special medal, there’s an option to add in the description below the medal. Pros: The best set up for this upcoming Christmas Holiday! 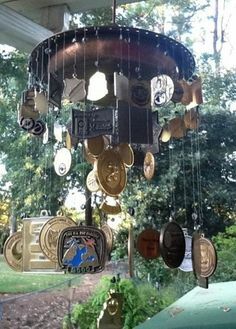 Show off your medals on the Christmas tree then you can tell every story of them – a lot of sweat and pain – when the visitors come. Cons: Bulky and takes up space. 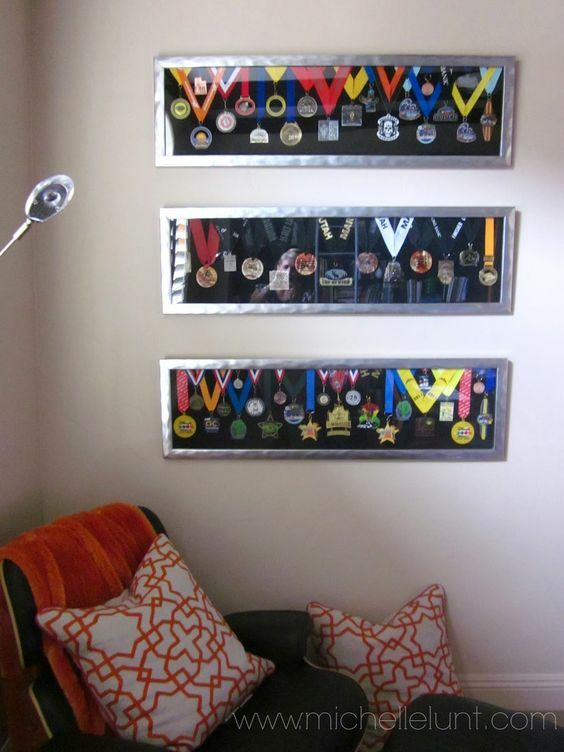 And when the occasion ends, you might have to look up a new place to display your medals. 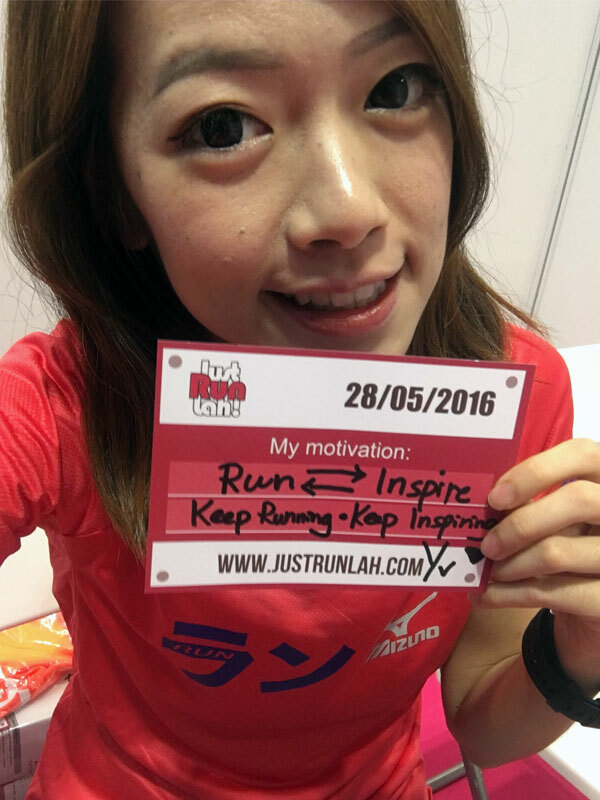 Share with us and hashtag #JustRunLah ! Mine are proudly displayed in my bathroom on the towel rack.